This lightly aged limestone flooring has softly distressed edges and top surface producing a smart classical finished floor. 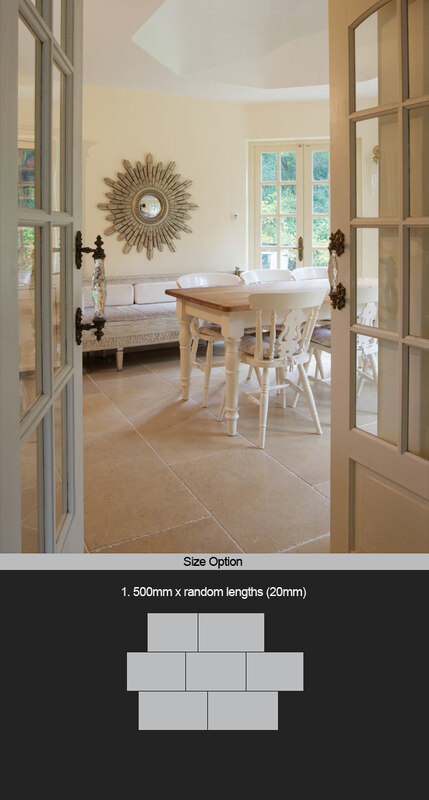 The warm creamy colouring and subtle fossil markings produce a very popular stone floor that is easily maintained, is extremely hardwearing and is a perfect stone for flooring in both domestic and commercial situations. * Distressed edges and top surface. * Classical English stone look.